The purpose of this survey is to provide a means for members to offer constructive positive suggestions for changes in the AGC Range Rules in order to make them more user friendly and concise without compromising our high standards for range safety. We value your honest opinions and look forward to reading your positive suggestions. When you take this survey it is very important that you provide a concise recommendation and justification for your suggestion. You may take this survey as often as you wish, but please only submit one range rule suggestion per survey. 1) Which range is your range rule suggestion applicable to? 2) Please provide your Range Rule change suggestion and detailed justification. If you have more than one range rule suggestion you should take the survey again after submitting your input. Your comments will be reviewed by Garrison's Pistol, High Power, Smallbore, and Trap Executive Officers and other members of the club's Executive Committee. Approved suggestions will be submitted to the AGC Range Safety Standards and Operational Policies (RSSOP) committee with the backing of the club. 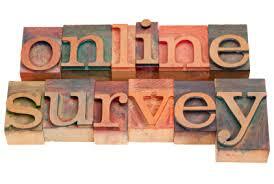 Be sure to click Submit Survey!